You have probably played a game of paintball before. But we bet you’ve played this in the city centre of Amsterdam! 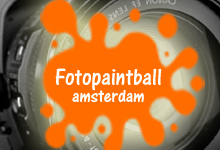 But paint gives such a mess, so we reinvented this game with a photo camera! Which team answers the most questions right, and shoots the most of his opponents? Are you up for the challenge?